Yokozuna Hakuho decided Friday to withdraw from the Spring Grand Sumo Tournament starting Sunday to treat a toe injury, exiting his second straight meet because of health problems. 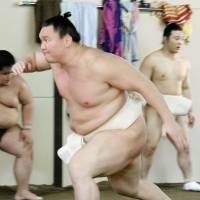 Hakuho is the second yokozuna who’ll skip the 15-day tournament at Edion Arena Osaka, with Kisenosato earlier this week withdrawing because of an ongoing chest injury. 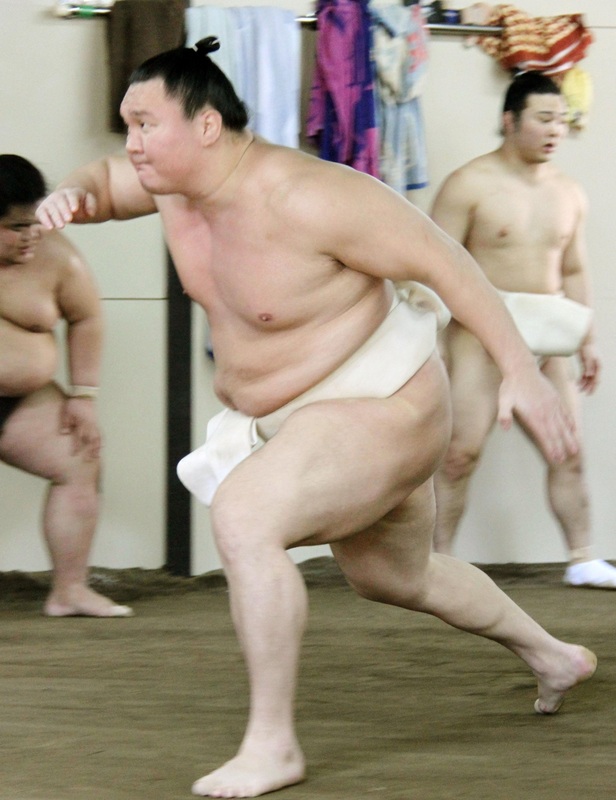 Takanoiwa, who was injured in a beating by former yokozuna Harumafuji last fall in Tottori, will compete as the 12th-ranked wrestler in the second-tier juryo division, making his first appearance in three tournaments. Georgian sekiwake Tochinoshin, who won his first championship in January, said he will compete despite injuring his left foot during a training session on Tuesday and undergoing medical tests on Wednesday. Meanwhile, the Japan Sumo Association has asked Egyptian wrestler Osunaarashi to retire as punishment for being involved in a vehicle collision while driving unlicensed earlier this year, an official with the governing body revealed Friday.